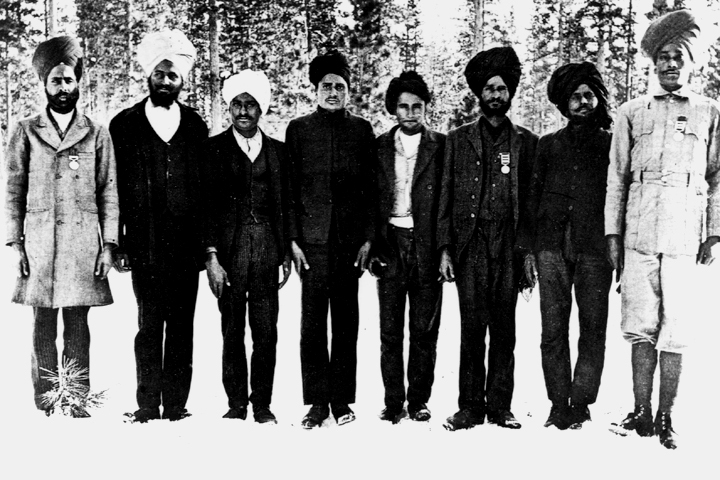 In the first years of the twentieth century, Sikh settlers began coming to the United States in search of jobs and good farmland. 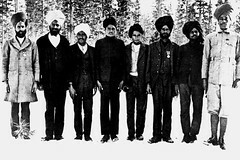 The first records of Sikh immigration are in 1903, when twenty Punjabis entered America from Canada. After this, a steady stream of immigrants arrived, so that by 1915 there were about 7,000 Asian Indians in America, about 85 percent of whom were Sikhs. Many of the new settlers came through Vancouver and then moved south along the West coast, working in the lumber industry, in railroad construction, and on farms. 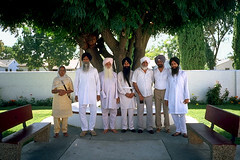 In California, Sikhs settled in the Sacramento and San Joaquin Valleys, which reminded them of the fertile fields of the Punjab. They also settled far to the south, in the Imperial Valley. At first, Sikhs became part of the cycle of migrant labor. Given their strong work ethic and their heritage of farming experience from the Punjab, Sikhs were later hired as permanent farm hands and even managers, turning their hand to everything from rice, to peaches, to cotton. They leased land and some acquired the capital necessary to buy a few acres. In 1912, the first gurdwara in the United States was opened in Stockton, California. For more than thirty years, the “Sikh Temple,” as it was called, was the focus of organized Sikh religious life in the U.S. During this early period, the press often referred to Sikhs as “Hindus” or “Hindoos,” a term which meant virtually anyone from India. Some Sikhs acquiesced in this misnomer, perhaps for the convenience of a term better understood in the West.